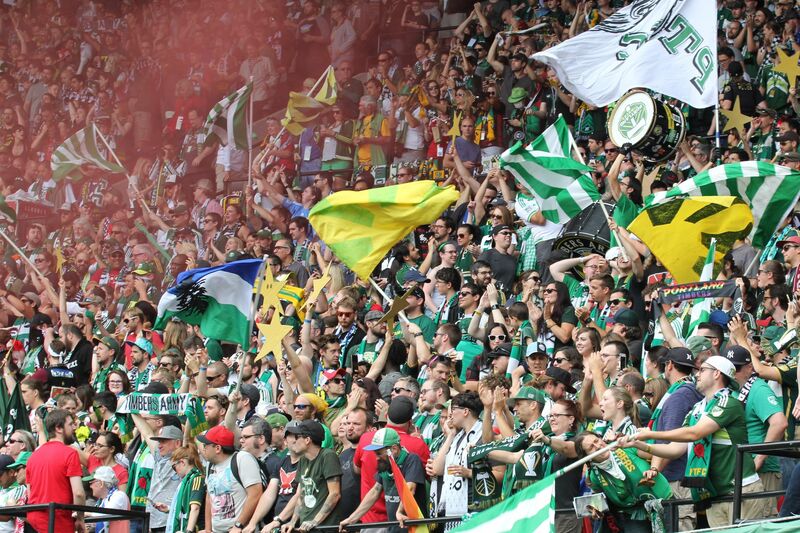 This team, right now, is the deepest, most talented group in Portland’s MLS era. Yes, the Timbers missed the playoffs. By one point. Let’s get that out of the way. A turbulent season came to a head on October 25, 2014, the final game of the regular season. The Timbers had just beaten FC Dallas (a playoff team in their own right) handily in their own building. Needing Colorado to draw or beat Vancouver at BC Place, there we all were, with nothing left to do but watch the MLS Live game tracker refresh. It’s a lonely, terrible feeling. You would half expect Dante Alighieri to wake up and write in an eighth circle reserved exclusively for those who have to bear it. Let’s leave it at that. Instead of looking back, there’s a brand new season to sink our teeth into. With the champagne still drying off of MLS Cup last year, the Timbers quietly announced four new arrivals, four departures, and the official purchase of Alvas Powell from Portmore United. Other than draft picks, T2 signings, and a couple of trialists, Caleb Porter, Gavin Wilkinson, and Co. have stood pat. Continuity takes center stage in 2015, and should be welcomed with open arms. Replacing a fan favorite is a tough job, especially in a position as singular and intimate as goalkeeper. Donovan Ricketts helped fans forgive the trade of Troy Perkins by winning Goalkeeper of the Year in 2013. Attention now turns to 27-year old Adam Kwarasey (“kwar-a-say”). The Norwegian is just as big as Ricketts (6’3” vs 6’4”), 10 years younger, and—as part of the new “sweeper keeper” generation—loves playing the ball with his feet. Kwarasey was named Norwegian Tippeligaen ‘keeper of the year last season, captaining Strømsgodset to only their second top-division title in 109 years. His youth, athleticism, and confidence with the ball at his feet will have the Timbers Army chanting his name for years. Kwarasay is deputized by the capable-in-a-pinch Andrew Weber, who is likely keeping the seat warm for perennial goalkeeper-of-the-future, Jake Gleeson. The (still) young New Zealander will start for T2. Player to watch: Kwarasey, obviously. The new keeper brings a youthful, more dynamic approach to the position than Donovan Ricketts, but will he be as reliable? “Sweeper keeper” is in vogue, and if the Timbers can learn to use Kwarasey as a pressure release valve, the confident keeper can turn defense into instant attack. The first line in Timber Jim’s famous Log Blessing (it’s actually an Irish wedding blessing) reads: May your home be strong of beam, firm of wall and rafter.” A winning team, like a good house, requires a solid foundation. In 2014, the beams were shaky, and far too often, the walls came crumbling down. The first fix was the addition of Liam Ridgewell, only the third Designated Player center back in MLS (the other two are USMNT duo Omar Gonzalez and Matt Besler). Enter Nat Borchers. Like Will Johnson before him, the mountainous bearded one was given a choice of destination when Real Salt Lake decided to let him go. Like Will, Nat chose Portland. Though he’s on the older side (he turns 34 in April), Borchers is a study in economy of motion: nothing rash, nothing unnecessary, just solid, consummate defending. To that end, Borchers has accumulated a total of four yellow cards in the last three years, and only one red. Liam Ridgewell needed an MLS-savvy partner to anchor the defense, and he got one and then some. This is a top-3 center back pairing in the league. Portland’s pillars in the middle are flanked by two of the most dynamic young fullbacks in North America. First, an ode to Jorge Villafaña: “El Sueño” literally won his job in MLS (on a reality show!) and, after toiling with lowly Chivas USA, ended up in Portland as a throw-in in the AJB-for-allocation-spot trade that was really just supposed to bring in Steve Zakuani. He has since deposed Michael Harrington as Caleb Porter’s first-choice left back. His effort is unquestioned, and his crosses are among the best and most consistent on the team. If Villafaña is the passer, his partner on the right side, 20-year old Alvas Powell, is the scorer. 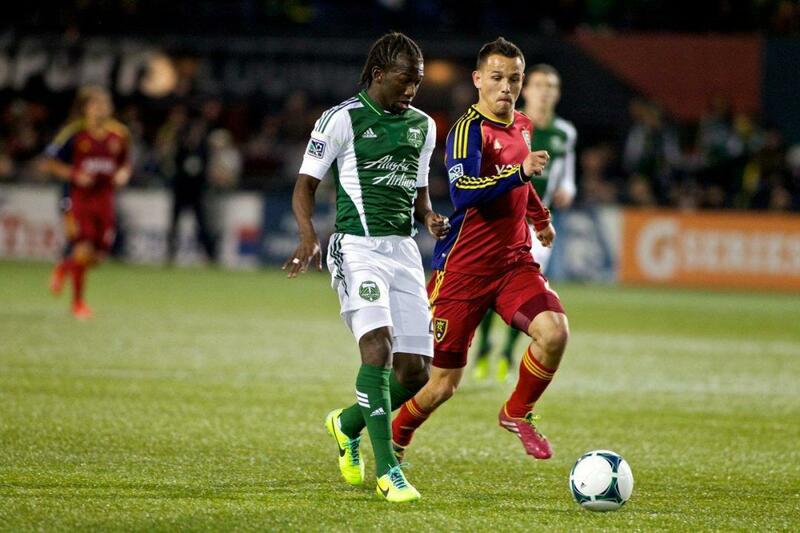 The dynamic Jamaican emerged after a loan spell as one of the most threatening offensive fullbacks in MLS. In only 11 starts, Powell scored twice, assisted on two more goals, and registered 14 shots (7 on goal). His rare combination of pace, confidence, and ability to take defenders on one-on-one is a luxury in MLS. We expect him to mature into a perennial all-star. On the bench, the Timbers have intriguing depth. Jack Jewsbury, will in all likelihood begin the season starting next to Diego Chara in a holding midfield role, more on that below. He will eventually slide back into his versatile, Salty Dog role player persona. Left-sided newcomer Jeanderson (“john-der-son,”) plucked from the obscurity of the Brazilian Campeonato Gaúcho, plays foil for Villafaña. The 23-year old has a sharp football brain and a soft touch, giving the established left back some healthy competition, and Caleb Porter some versatile depth. Another 23-year old defender with a bright future is Taylor Peay. The U-Dub product has great size (6’2”) and can play either on the right side or in the center of defense. Peay has impressed in limited Timbers action, mostly in the early rounds of the Open Cup, or in friendlies, but has displayed veteran-level composure. Expect Peay to be one of the few T2 starters with an MLS contract. Finally, we have the enigma that is Norberto Paparatto. The 31-year old Argentine center back came to Portland prior to the 2014 season, presumably to start. He instead fell out of favor, looking slow, out of place, and disaster-prone. Instead of pulling a Hanyer Mosquera (read: leaving,) Big Papa worked his way back into Caleb Porter’s good graces, and is now solid, if unremarkable insurance for Borchers and Ridgewell. Player to watch: Powell. The kid has major talent, but which Alvas will we see: the pre-loan inconsistent enigma, or post-loan game changer. He needs to work on his defensive game, and cannot afford to rely on speed alone to bail him out if caught out of place. That said, MLS teams were known to prepare for his impact last year, before it was a given that he would start; he’s that dangerous. 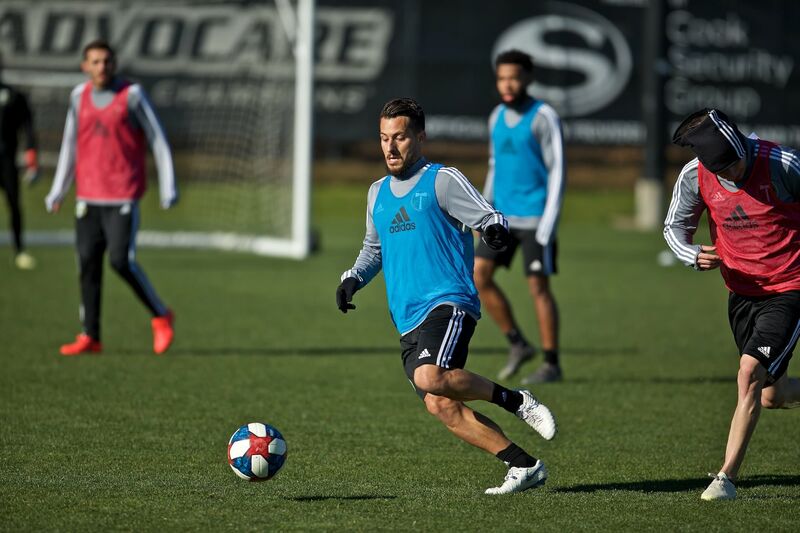 With Portland’s defense shored up for the first time in their MLS history, attention now turns to the injury-riddled midfield. 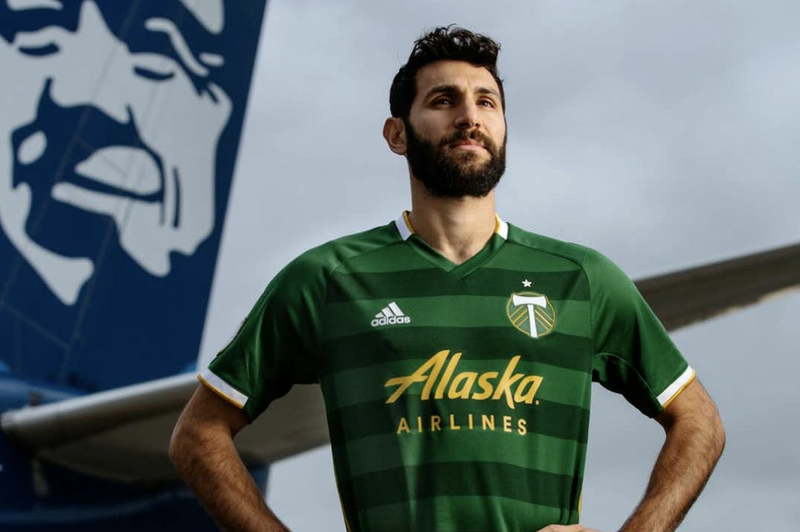 Coming into the Simple Invitational, the Timbers had one glaring question: how would Caleb Porter compensate for a month or two without MVP-worthy playmaker, Diego Valeri. When Ben Zemanski went down with a torn ACL 23 minutes into the first game of the Invitational, the focus shifted immediately to holding—not attacking—midfield, and how Plan C would cover for Plan B. Will Johnson is recovering nicely, and Caleb Porter should only have to rely on Jack Jewsbury for about a month, but as we learned so harshly last year, a poor start can doom the season. Thankfully, Diego Chara never seems to change, and that’s exactly what Timbers fans love about him. As long as Diego continues to be Diego, he and Cap’n Jack have plenty of experience together, and all should be fine in the holding mid. On the attacking side of midfield, things are looking a lot more unsettled, and that’s a good thing. While you want defense to be boringly reliable, there’s nothing worse than a settled attacker. Perhaps Darlington Nagbe was bitten by a bit of the comfort bug last season, but the fire is visibly lit under the soon-to-be USMNT hopeful (check back in September.) Nags is playing a take-on-all-comers style of football this preseason, and while he hasn’t scored yet, he’s shooting aggressively. This team will score plenty of goals when the regular season switch is flipped to “on.” However, things get a bit more interesting when we ask: “from what position?” Conventional wisdom dictated that Gaston Fernandez would, of course, slot nicely into Valeri’s vacated “number 10” role behind the striker. “La Gata” is a seasoned pro, expected to score and set up goals, but has looked checked out as others battle for minutes. His one goal this preseason came in January from the PK spot. Meanwhile, Dairon Asprilla is gaining ground on Fernandez like Homer Simpson on a free box of doughnuts. Like Alvas Powell, Asprilla takes on defenders, but unlike Powell, can track back well and is anything but a defensive liability. The 22-year old Colombian has been a revelation and could be the find of the offseason. Once Diego Valeri is back fit and ready to start, Asprilla will likely be on the bench anyway, making him immediately one of the league’s super subs. Speaking of a healthy Diego Valeri, it’s about time we addressed what the Timbers midfield will look like when finally healthy. In one word: dangerous. Think about it: Johnson and Chara in the middle, Wallace on the left, Valeri in the middle, Nagbe on the right. Few MLS teams can boast that kind of firepower, and those that can spent healthily to do so. Rodney Wallace, to his credit, added some muscle in the offseason, and looks like a mature pro. Any winger that can cross, score, and defend is a rare commodity, and the Timbers have three. Combined with Villafaña and Powell, crosses should be whipping into the box from all angles. Now, who’s going to get on the end of them? Player to watch: Valeri. The Argentine maestro is probably the most influential offensive force in Timbers history (the 40 year kind, not just 5), but coming back from a torn ACL is not a simple task. Valeri is expected to return in May, a month in which the Timbers play six league games (4 away!) He needs to hit the ground running. It is hard to find three more distinct personalities playing the same position. Adi is a classic “target man,” a tall striker who can play with his back to goal and set up scoring chances for his teammates. You might remember this one. Gaston plays a “false 9” style, hanging back towards the top of the penalty area, looking for a chance to either shoot or lay the ball off for a teammate so he can make a run towards goal. La Gata, as his “feline” name implies, is also adept at getting in behind the defense and pouncing on rebounds. When he gets his chance, he rarely misses. Finally, Maxi Urruti is the young, bombastic, audacious talent with an eye for the spectacular. Urruti specializes in scoring quickly, either right at the start of the match, or right at the death. With three different styles comes one massive question: who starts in a single-striker formation? Considering the fact that Caleb Porter likes using a tall, hold-up striker in his system (he took Akron to the 2009 National Championship game with 6’2” Teal Bunbury as his lone striker) the answer is Adi. The 6’4” Designated Player is in Timbers green for a reason. Expect Urruti to reprise his “super sub” role, as one of the most dangerous bench strikers in MLS. La Gata, on the other hand, will either start the season as an attacking midfielder (in place of Valeri) or cede his place to Dairon Asprilla. One way or the other, the Timbers have a lot of firepower on the bench. Player to watch: Adi. The big Nigerian showed flashes of brilliance in 2014, but it was just that: flashes. He scored goals in bunches, recording four two-goal games. The problem is: Adi’s nine goals were scored in just five matches, and he had goalless streaks of 9, 3, and 4 matches. During those streaks, he only produced two assists. In order for the Timbers to be a serious contender, Adi needs to find consistency. The Timbers are infinitely more stable, especially at the back, which was the team’s Achilles heel in 2014. Furthermore, this season will mark the first time in Portland’s MLS existence that the team has carried over a complete medical staff (including Sports Science) from the previous year. 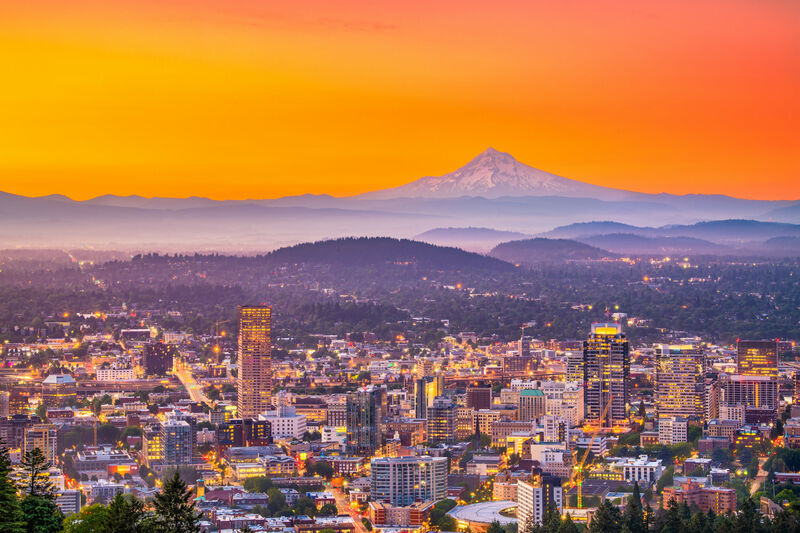 Fitness will no doubt play a key role in solving Portland’s other recurring downfall: late game collapses. All signs point to an upswing after last season’s disappointment. While longtime foes Real Salt Lake have been decimated by a player exodus, and the defending champion Galaxy lost their talisman (Donovan) to retirement, the Western Conference remains deep and tough. Doormats Chivas USA no longer exist, and due to the two new expansion teams in the East, the Goats are replaced by two very good teams, Sporting Kansas City and Houston Dynamo. The tough got tougher, for sure. It’s also critical year for Darlington Nagbe. Nags has been Portland’s Golden Boy since he was chosen as their first-ever draft pick, but he has yet to break out into a bona fide superstar. Last season was a struggle, but his head is in the right place, and he is ready to take center stage. This, his fifth season as a pro, will be his year. Double dog dare prediction: He’ll score in the home opener and finish with 8 goals, 13 assists. This is a playoff team. The only question is: what seed? The key will be the start, and how the Timbers fare without Diego Valeri. Before he is scheduled to even possibly return, the Timbers will face Salt Lake, the Galaxy, Kansas City (road), Vancouver (road), Dallas, and Seattle (road). That there is the bulk of the Western Conference.